Education is a powerful and effective source of human development, as specified in the Universal Declaration of Human Rights. Have you ever experienced the power of education? Have you ever seen their changes? 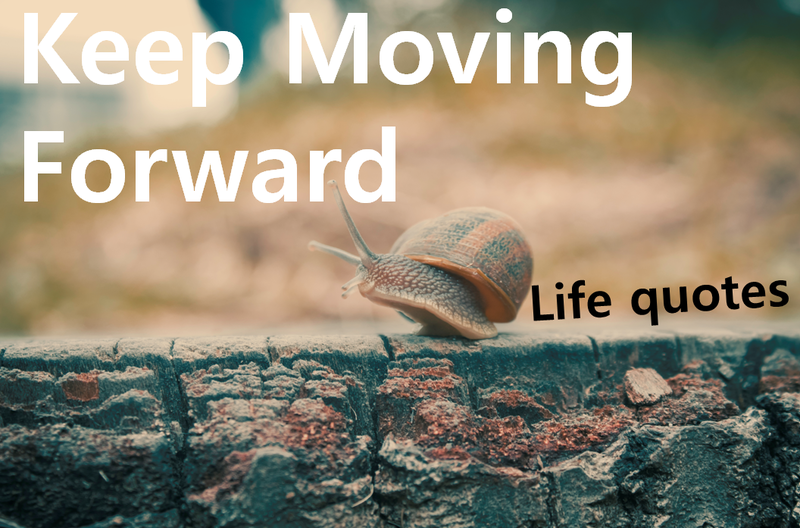 Or have you ever experienced your changes? Education is closely related to change. What should the Education do? In order to protect and further enhance the priceless legacy of peace from great wars and consequent sacrifices, education must guide students to understand values such as human dignity, equal opportunity, democracy, etc. 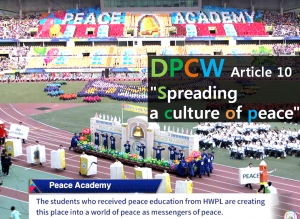 The students who received peace education from HWPL are creating this place into a world of peace as “messengers of peace”. 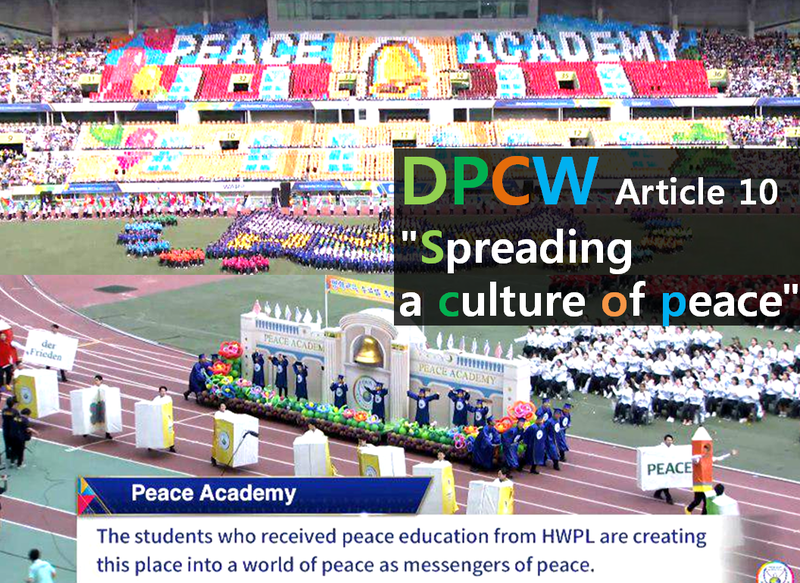 The HWPL Peace Academy teaches Peace of Mind based on dignity of Life. It is the best education that every human being is more valuable than the whole universe, isn’t it? How great DPCW Parade is! 117 schools from 8 different countries (as of July 2016) voluntarily became HWPL Peace Academies. 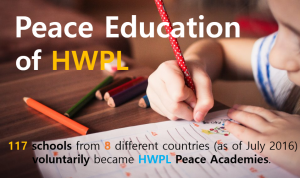 The designated Peace Academies announce the Statement of Resolution and their future plans to incorporate peace education into their curriculum. 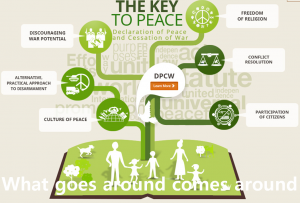 It will teach about HWPL’s peace initiatives. 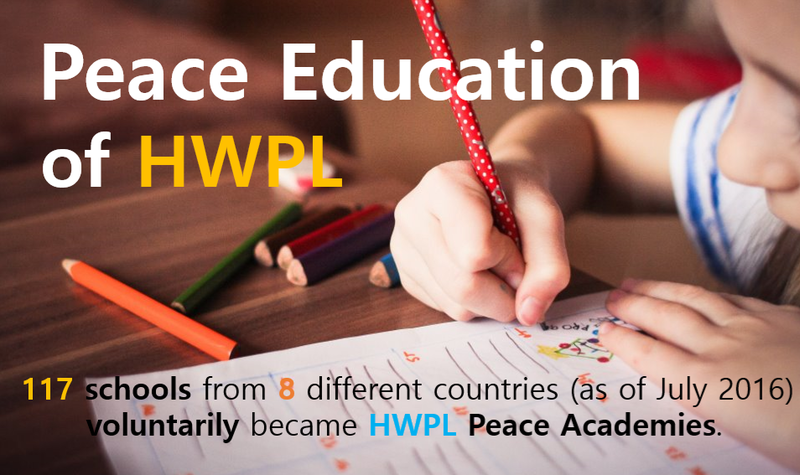 HWPL’s comprehensive approach to education allows teachers and students to embrace the values of human rights, intercultural and interreligious understanding, and tolerance. It is really needed for global leaders who want to reconcile. 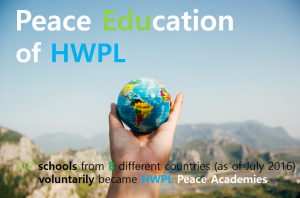 Whether you get the peace education or not makes fundamental difference. It depends on you. “It would be better to live long~ But this year, our old man is dead. I should be dead~” One grandmother, terminally ill with lung cancer(Stage 4) said. I’m a medical student. 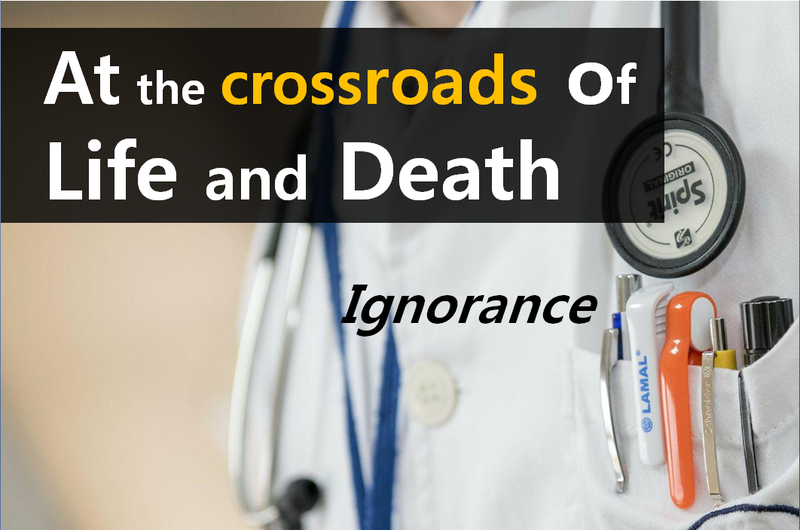 Since doctors stood at the crossroads of life and death, It seems to think more about ‘death‘. Anyone, who are sentenced to death by disease, has no choice but to sob deeply. Frankly, the death is difficult to deal well with for whoever. When I stay at patient’s room, I can see all kinds of religions, Buddhism, Catholicism, Protestantism, Hinduism, Muslim, Atheism, Irreligion. They are so in fear of death. But I’m helpless. I can’t help them. I only can prolong their life for a few year. Everything is because of ‘Ignorance‘. The reason we are enveloped by fear for death is ‘Ignorance‘. Not only we didn’t know death well, but also we didn’t really think about it. You can think “What can I do if everything I believed is wrong?” or you want to believe you’re right. But you must keep in mind “Beware of false knowledge. 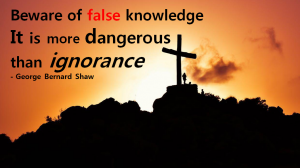 It is more dangerous than ignorance.“, George Bernard Shaw said. If you know exactly, the truth shall make you free. (John 8:32) You can feel relieved. In the Christian world now, everyone knew that ‘If people die, immediately they live in heaven or hell forever.’ Have you ever have a question? If so, what should our ancestors who died before the spread of the Christian faith do? It is so unfair. Is it God unfair? Nope. Maybe, I’m wrong. What a beautiful peace day! In Fiji, the hibiscus is blooming at children’s hands. The hibiscus is the national flower of Fiji. Fiji is an island country in Melanesia. Fiji’s main attractions to tourists are white sandy beaches and aesthetically pleasing islands with all-year-round tropical weather. 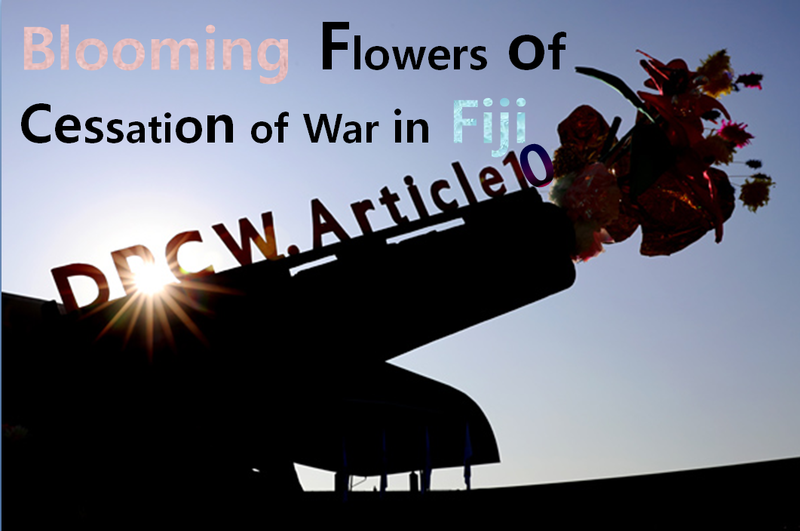 In peace education, children of Fiji stick flowers on the picture of the tank which symbolize war and conflict. Why? They wished for achieving peace in the world. Children don’t know nothing. They know it clearly. Maybe they know it better than us, adults. “Peace is good and war is bad.” Very simple. Maybe, we don’t need other things, social, economic and political issues, complex and chronic problems. We must keep our children’s heart. “I think peace is having tolerance, respect and love each other. By loving each other and respecting each other we can find how we can stop fighting in the classroom too.” – Salemba, one of the students. 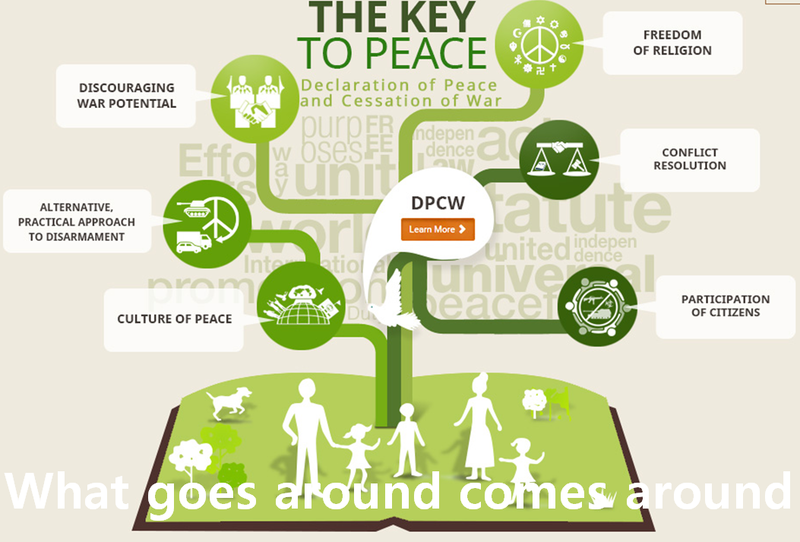 It is the reason why children can study peace. Heavenly Culture, World Peace, Restoration of Light (HWPL), an international NGO under the UN ECOSOC and UN DPI, held a peace event “Blooming Flowers of Cessation of War in Fiji” on October 24th at Yat Sen primary school of Suva in Fiji. This lesson really helps children and students understand each other. 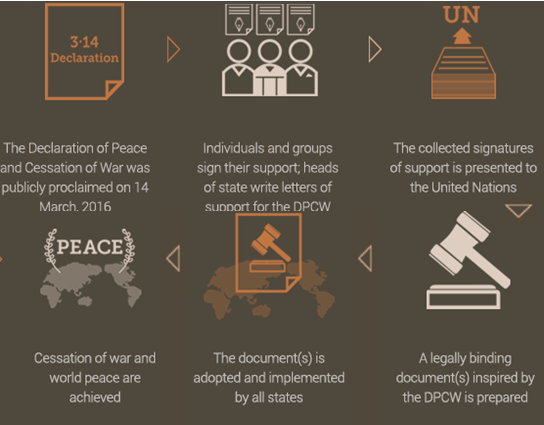 All of these things is from DPCW, which is an international law to cease the war. 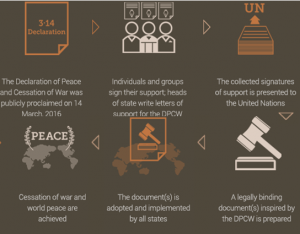 Article 10 of DPCW is “Spread a Culture of Peace” Recognizing the global threats posed by nuclear, HWPL International Law Peace Committee suggested the DCPW (Declaration of Peace and Cessation of War) on March 14, 2016. It is a Korean environment advertisement. It is a parody of Star Wars, “I am your father”. This ad, created by the Ministry of Environment, was awarded two gold medals in Korea`s top three Advertising Festival. Have you ever been thought about the environment? I did a survey to my friends. 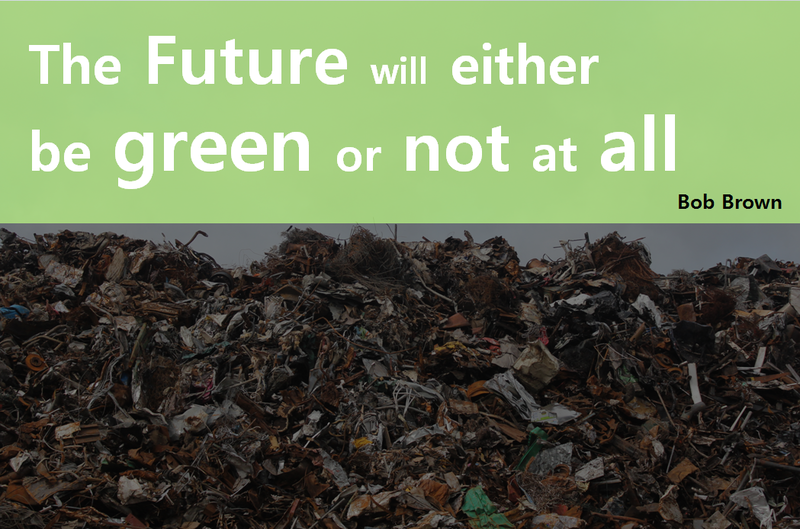 When you think of environment, what first comes to your mind? 70% of my friends think of garbage can. In my case, loads of trash catch my eye. I’m not the kind of person who takes care of our environment. I take this opportunity to find out ‘the journey of garbage‘. Aren’t you curious about that? I only saw garbage trucks and sanitation workers. Thank you very much for them. How cold it is! It’s so freezing! At dawn, They work hard. If we don’t throw in the garbage, they have to pick up one by one. If workers forgot to pick up, neighboring residents file a civil complaint. They are not full-time civil servants. It was very sorrowful. It breaks my heart. 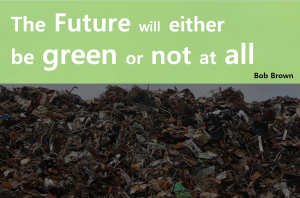 Where does our garbage go? Garbage is carried to a waste disposal site. Who is coming here, in the morning? Mothers should separate the garbage hand by hand. 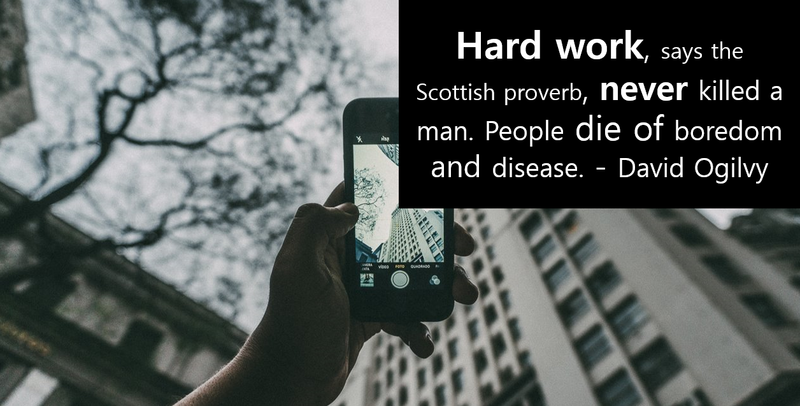 That’s a lot of hard work of the people. I am so grateful. If we understand these people more, we can be happier. 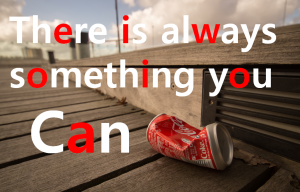 Author masterPosted on 2017년 November 24일 Categories About me :)Tags Bob Brown, Environmental quotes, garbage can, I am your father, Margaret Mead, Our Environment, the journey of garbage, Where does our garbage go?Leave a comment on Where does our garbage go? 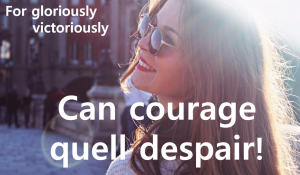 What is counseling? It is a professional guidance of the individual by utilizing psychological methods especially in collecting case history data, using various techniques of the personal interview, and testing interests and aptitudes. (Merriam-Webster) Key point is two. First, It is not temporary. It is a continuing and in-depth process. Second, It makes you positive changes. If you don’t change at all, It is like that you don’t get a counseling. It is very difficult but valuable thing. Have you ever been got a counseling? I do. Frankly, I like it a lot and I want to learn counseling more. Next time, I will post more information. 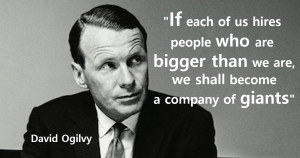 Who is David Ogilvy? He is known as the father of advertising. Wandering about library, I read his book, ‘Confessions of An Advertising Man’. I am very interested in advertising. When I saw the flow of advertising world, he made a giant leap for advertising. First, he set up basic principles about ‘What is Good advertising tips?’. Second is the research. These rules is not based on just Ogilvy’s feelings. Thoroughly it is based on research which Ogilvy’s company did. His company is the Ogilvy & Mather. He is famous for the prime mover in the company’s rise to international success. Third, I think his values make it possible. I will say more about Third & his quotes. Values denote the degree of importance of some thing or action(wiki). It is closely related with his Life. Different from his late success, he drop out of Oxford University. When he was a sophomore, his father’s business was badly hit. How long do he have part-time jobs? He had not a good career up to 39. 39!!! Chef, stove seller, researcher of Gallup. When he was 39, he decided to go ‘advertising world’. Because he think it is interesting. Surprisingly, he started to succeed fast! Why? His experience makes it possible. He learned leadership from one chief. He learned the need to research from Gallup. These make difference. Next, his quotes will show you his values. 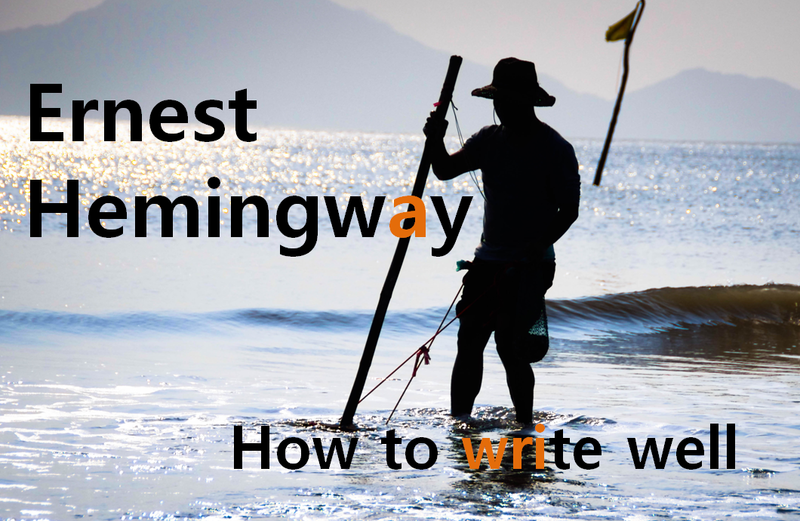 Who is Ernest Hemingway? He is famous for manly style. We already know ‘The Old Man and the Sea’, his most popular work. 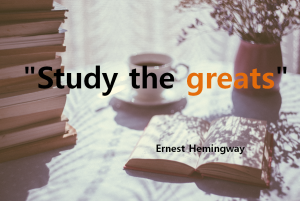 So he earned him a Pulitzer Prize in 1953, and in 1954 Hemingway won the Nobel Prize for Literature “for his mastery of the art of narrative”. Hemingway called his style the Iceberg Theory: the facts float above water. The supporting structure and symbolism operate out of sight. 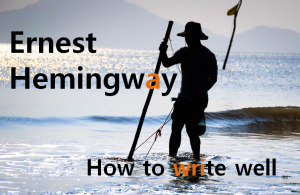 Hemingway believed the writer could describe one thing though an entirely different thing occurs below the surface. More surprisingly, About 70 percent of the sentences are childlike simple sentences. He made no pretence. 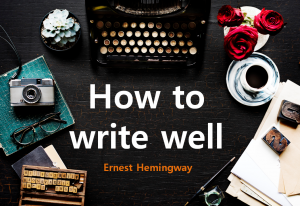 In the spring of 1934, Arnold Samuelson who is feeling discouraged over his writing go to find his mentor, Ernest Hemingway. He was impressed by the 22-year-old’s seriousness and dedication. In a 1935 article for Esquire magazine, Hemingway shared some of this advice. 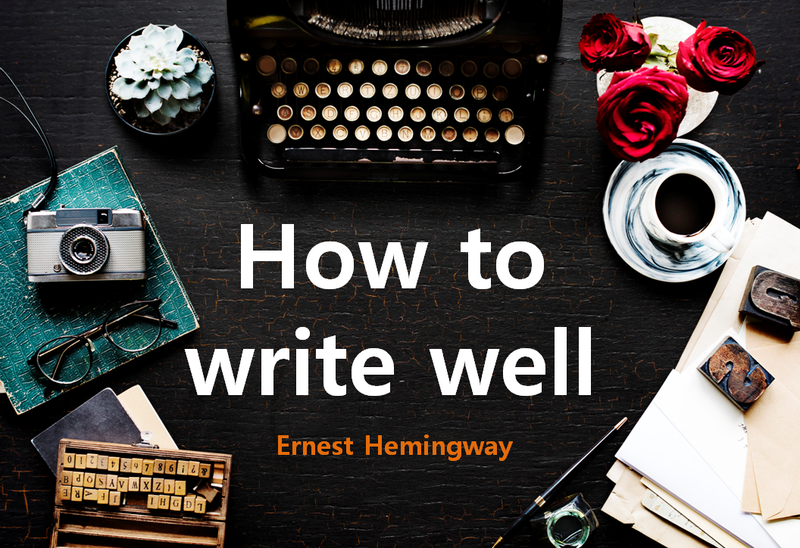 “How much should you write in a day?” Hemingway answered. 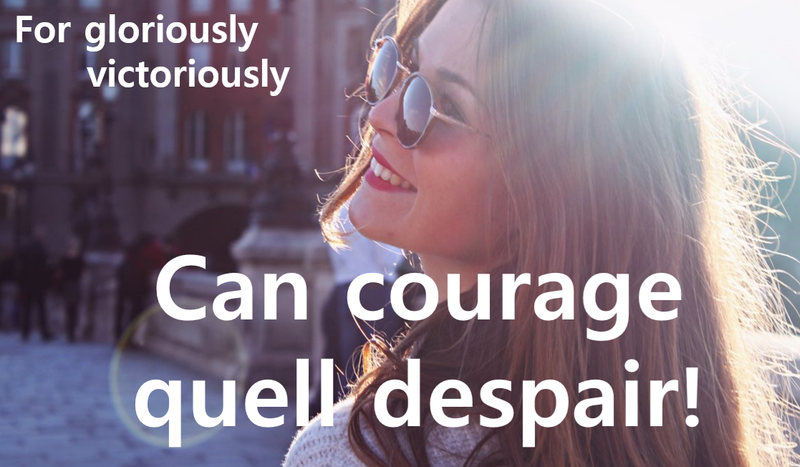 How can writers stop themselves from worrying about whether they can maintain the creativity? Hemingway gave Samuelson a long list of books to read and told. I think you already have heard many times. He said “Watch what happens today.” If we get into a fish see exact it is that everyone does. If you get a kick out of it while he is jumping remember back until you see exactly what the action was that gave you that emotion. Whether it was the rising of the line from the water and the way it tightened like a fiddle string until drops started from it, or the way he smashed and threw water when he jumped. It is a problem of my mind. 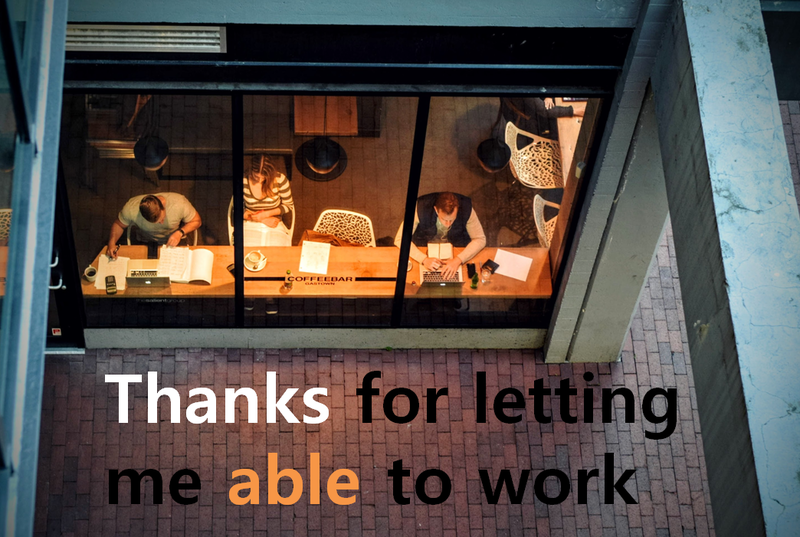 If you are working for a company, you can think like this. ‘What’s the reason why I do this?’ Am I happy? Sometimes I am confused about my mind. When doing so well, I’m so happy and grateful to everything. But if things go wrong, I don’t know what I had on my mind. I want to do better and better. Confidence is getting lower and I become lethargic. In fact, I should be grateful to doing work. And thanks for letting me able to work. But I don’t know. I’m so confused. I don’t understand what go wrong. 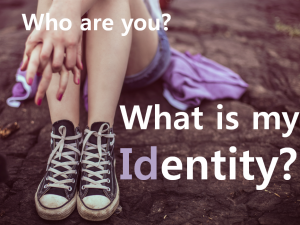 I think It depends on ‘what I am’. You can be confused if you don’t know who you are. Can you know about your mood right now? 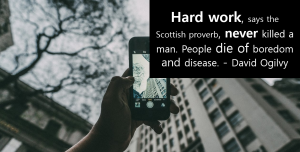 It is hard. It seems that So MBSR(Mindfulness Based Stress Reduction program) and meditation caught on. Who are you? Can you say it clearly? It is very hard. It is related with happiness and gratefulness. It’s like center pendulum in your mind. Deep waters run still no matter how many times waves are hitting. It don’t fluctuate between hopes and fears.